Adventurous clarinettist and new music aficionado Chris Grymes brings his Open G podcast and performance series to National Sawdust in a continuing exploration of the new avenues that digital technologies are opening up for creating and sharing high-caliber music. This installment will feature genre-hopping polystylic chamber duo Port Mande. 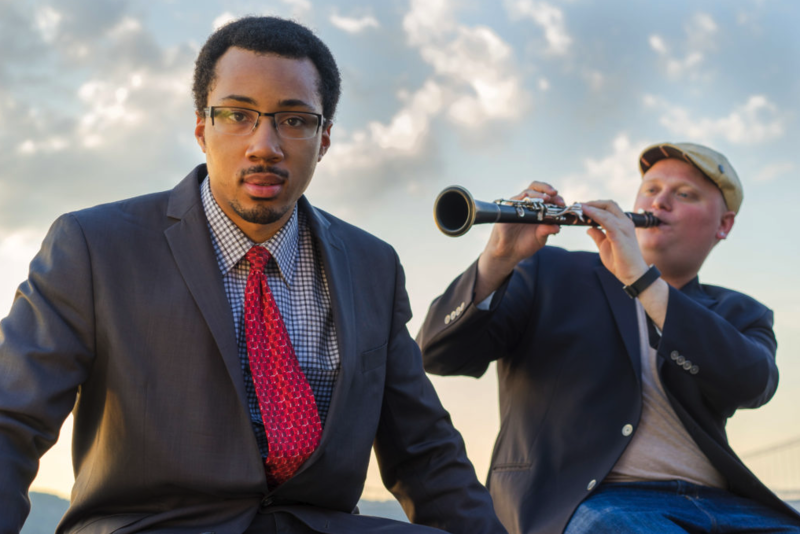 Comprising clarinetist Mark Dover (of Imani Winds) and pianist/producer Jeremy Jordan, Port Mande’s mission is to bring all cultures and people together by embracing music of every genre. Dover and Jordan have extensive experience in classical, jazz, hip hop, gospel, pop, and more, and have collectively worked with everyone from Yo Yo Ma and Anthony McGill to The Temptations and Vulfpeck. Endlessly versatile and virtuosic, their performance is not one to be missed. Port Mande (formerly Duo Process) is the collaborative partnership between clarinetist Mark Dover of Imani Winds and pianist/producer Jeremy Jordan. The name Port Mande is a play on the linguistic term portmanteau — a word that blends the sounds of two other words and combines their meanings, like the word smog (a blend of smoke and fog). Much like a portmanteau, Dover and Jordan’s artistic partnership is a blend of all their vast musical influences — both having worked prolifically in the classical, jazz, hip hop, gospel, pop, and world music scenes. Port Mande’s mission is to bring all cultures of people together by embracing music of every genre. Most recently, in 2017, Dover and Jordan commissioned and gave the world premiere of Jonathan Ragonese’s Non-Poem 4 live on WFMT, Chicago, and WKCR, NYC, as part of the Live at National Sawdust series and Relevant Tones, a contemporary music podcast hosted by Seth Boustead. Collectively, Dover and Jordan have performed and/or recorded with many of today’s most prominent artists, including Yo Yo Ma, Anthony McGill, Gil Kalish, Edward Simon, Brian Blade, Scott Colley, David Binney, Cyrille Aimee, Charles Yang, The Temptations, Vulfpeck, and many others. In the past year, the duo has performed at DROM, Spectrum, Rockwood Music Hall, the Imani Winds Chamber Music Festival, Groupmuse concerts, and various other private functions, including the Emerald City Music Gala.